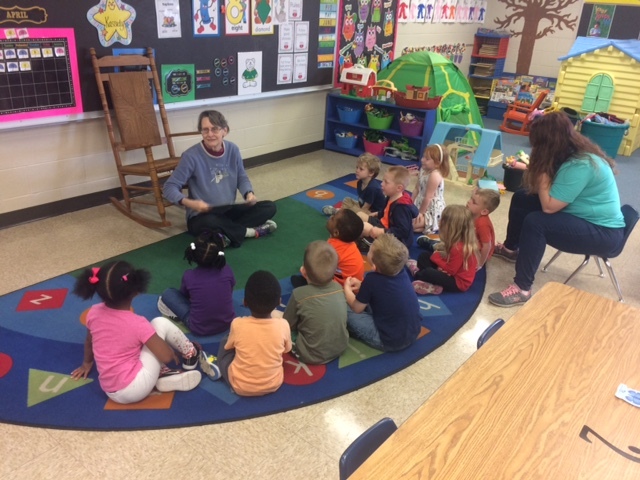 On April 12th, several residents from Foxbridge Assisted Living and Memory Care Community read books to pre-kindergarten students at Immanuel Lutheran School. The residents read engaging stories primarily from large-sized books with lots of colorful pictures, while the students were very attentive and asked insightful questions about what was happening as the stories unfolded. It was a heart-warming experience to see how the young students connected with the residents, which included lots of hugs as reading time concluded. The residents were thankful for the opportunity to help the children develop a love for reading and the students were blessed to have had such a special experience. Immanuel is grateful to be engaged with Foxbridge in loving our neighbor and serving our community together.